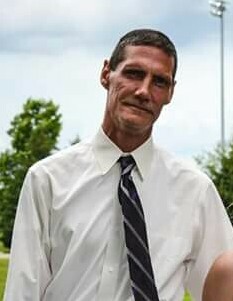 Timothy S. Miller, age 49 of Troy, passed away Friday, August 10, 2018. He was born March 25, 1969 in Dayton to the late Herman and Barbara (Knisley) Miller. Timothy is survived by his four children: Tonya Morgan of Troy, Madilyne Miller of Troy, Reanna Miller of Piqua, and Randal Miller of Fairborn; as well as five grandchildren. Along with his parents, he was preceded in death by sister Vicki Miller. Timothy formerly worked in maintenance for Deltech Polymers Corporation in Troy. A Celebration of Life will be held 11:00AM Wednesday, August 15, 2018 in the brick shelter building of Troy City Park. Arrangements entrusted to Fisher-Cheney Funeral Home, Troy.